After the major success of last year, Pleasureland Festival did an encore last September 19 at Pala De André in Ravenna with a new big event, and with an unprecedented afterparty in Mirabilandia theme park on the following day. 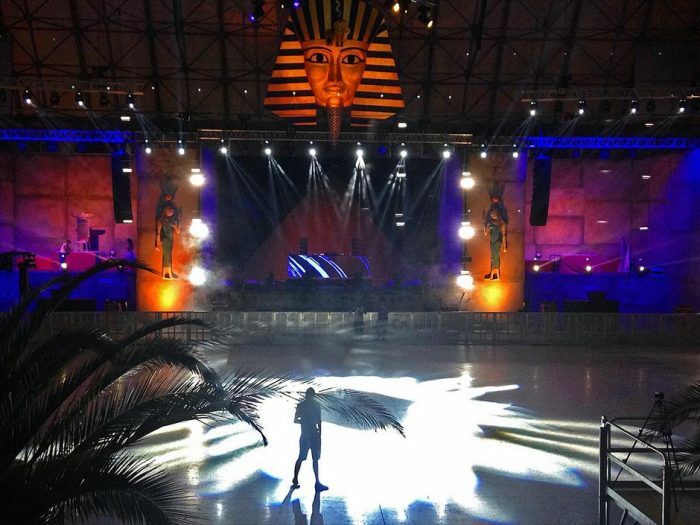 Pleasureland aspires to be the best Italian festival of Electronic Dance Music (in 2014 it reached the second place in the special ‘Best dance event’ ranking of the Dance Music Awards). The production has set up four stages (the main stage, inside, and three stages outside the Pala De André). International stars such as Paul Van Dyk and Sander Van Doorn have performed on the main stage. 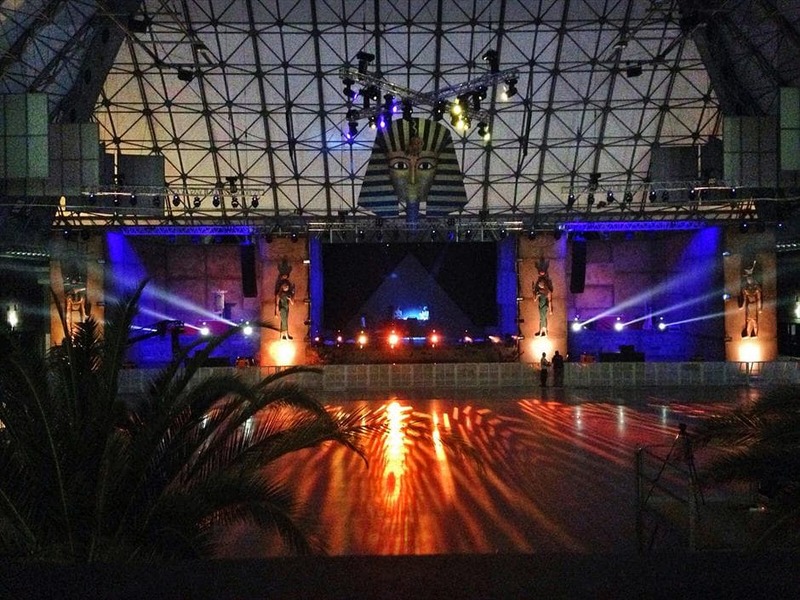 The theme of Pleasureland 2015 was ancient Egypt, with its mysteries and its symbols, by which the rich scenery was inspired. In an event like this, the light show was key to turn on the atmosphere and enhance the DJ sets. The technical installation was carried out by the rental company Romagna Audio Sound & Light. NS Service handled the lighting of Pleasureland with a range of DTS fixtures: RAPTOR and NRG 1201 moving heads, and DELTA 12 FC LED Wash units. The RAPTORs and NRGs were hanged in three motorized trusses for the lighting effects of the stage. The DELTAs were placed on 4 layer towers for lighting the set design.